Sunny Isles boasts a wide range of immensely luxurious condo properties, but none compares to Jade Ocean (CLICK to site HERE). Situated right on the white sand beach, it’s the definition of ultra-luxury and designed to be the most impressive property developed in the country. 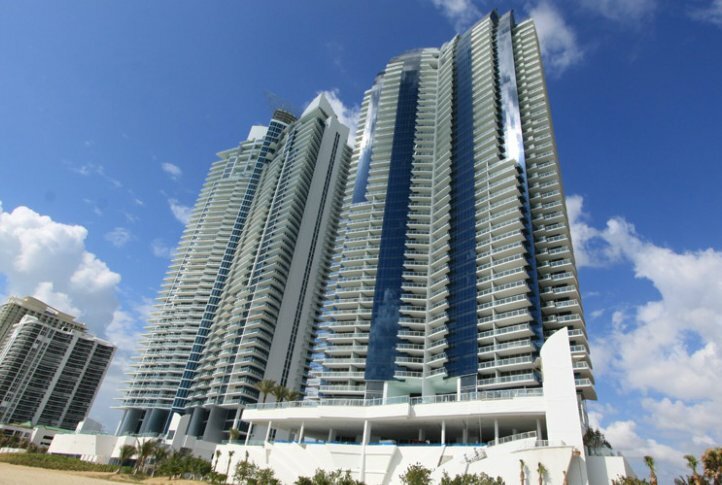 Rising 55 stories, it commands amazing views over the ocean and the Intracoastal Waterway. Its location in Sunny Isles also means that owners and guests have immediate access to other areas nearby like Bal Harbour, Aventura, South Beach, Miami and Fort Lauderdale. With 55 floors and 235 residences, Jade Ocean glitters in the Florida sunshine. It’s built right next door to its older sibling, Jade Beach, and the pair of glass and steel towers make an amazing sight framed against the blue water and clear sky. With residences that range from almost 900 square feet on the small size to over 4,000 square feet on the large side, anyone will find the perfect place to call home. Step in the front doors and you’ll find yourself in the soaring, three-story lobby. The all-glass construction provides incredible views of the beach and the ocean. From the lobby, you reach the private elevator leading to your residence, but you can also gain access to other features at Jade Ocean. Step out onto the pool deck, and you’ll find an incredible design – the infinity edge pool actually spills over into a three-story waterfall that leads you down to the warm, white sand beach. The beach features a private club, where you can rest in a private cabana, or visit the café. The children’s splash pool gives the little ones a safe place to play while you soak up the rays. On the pool deck, you’ll enjoy a hot tub, as well as a poolside bar. There’s a playroom for the kids here as well. For those who want to stay in shape, the fitness center is state of the art. You’ll find the most modern fitness equipment and accessories, whether you’re interested in weight training, resistance training, or just want to get in a bit of cardio before heading out for a day of shopping at the Shoppes at Bal Harbour. For the ultimate in relaxation and rest, visit the spa. Massage services are just the beginning. You’ll also find a sauna and steam room to help you unwind. Business-minded owners will find the onsite business center provides the equipment and tools they need to stay productive, and there are even private offices and conference centers available. As many features as the property itself offers, you’ll find lots to love within each residence at Jade Ocean. From European designed kitchens to marble floors and floor to ceiling windows, they’re an amazing escape from the mundane. Open floor plans maximize the view, and private balconies let you experience the outdoors for yourself. Jade Ocean is an incredible place to call home, and there are still open units just waiting for a buyer.